Topics concerning this most overlooked and undervalued habitat. “The Flow Country” : YouTube video – Flows to the Future Project. Unlike forests, peatlands are generally invisible. Indeed some peatlands have forests on them, but still we tend only to see the trees. This is because the defining feature of a peatland – namely the presence of a peat soil – lies invisibly beneath the surface vegetation. 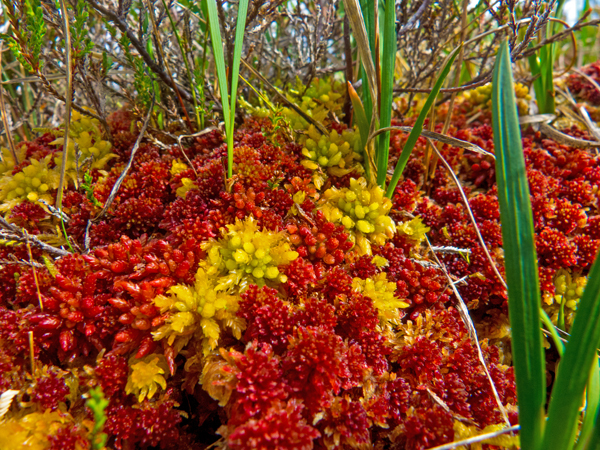 Peatlands are consequently, and constantly, overlooked in terms of their place within the landscape and in terms of the vital role that they play within the global ecosystem. Forests, meanwhile, feature prominently in many environmental campaigns and in many of the major international environmental treaties, often having a section in such treaties devoted specifically to forests and forest management. 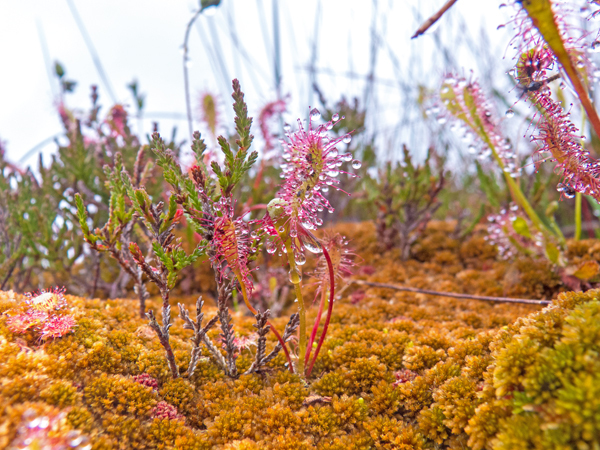 While not diminishing the importance of forests, an increasing body of evidence about the world’s peatland ecosystems is accumulating to show that these frequently-overlooked and often mis-identified habitats represent one of the giants of the Earth’s natural systems. Consequently on 1st September 2016 the IUCN World Conservation Congress in Hawai’i recognised that, in terms of the global ecosystem and priorities for international environmental action, the world’s peatlands are as important as forests – indeed in some ways possibly more so. The IUCN WCC agreed the Motion ‘Securing the future for global peatlands‘ which recognises that [known] peatlands cover 3% of the Earth’s land surface yet contain more carbon than all the world’s vegetation combined (including forests), but that because peatlands are not valued for the ecosystem services they provide in their natural state, they are being destroyed at an ever-increasing rate. The resulting emissions of carbon from these damaged peatlands (2 gigatonnes per year) are equivalent to the emissions of all annual air travel. The IUCN UK Peatland Programme successfully promoted and guided this Motion through the WCC event, supplementing it with a well-attended peatland workshop. These are exciting times for peatlands, with such high-level recognition for peatlands on the global stage, while the International Mire Conservation Group’s (IMCG) book about the status of peatlands across the whole of Europe is due to be published early next year, as is a major reference book-set from Springer about wetlands, incorporating many peatland topics. Meanwhile in the UK there is the million-hectare peatland restoration challenge, and in France, for example, Pôle-relais tourbières highlights an ever-increasing range of peatland conservation activities across that nation. It may seem odd to question the use of the term ‘moorland’ when the word is so well established in English literature, being used in both Lorna Doone (1869) and The Hound of the Baskervilles (1902) though not, interestingly enough, in Wuthering Heights (1847) despite the fact most people today would, in their mind’s eye, set Emily Bronte’s tale against a ‘wild moorland’ backdrop. 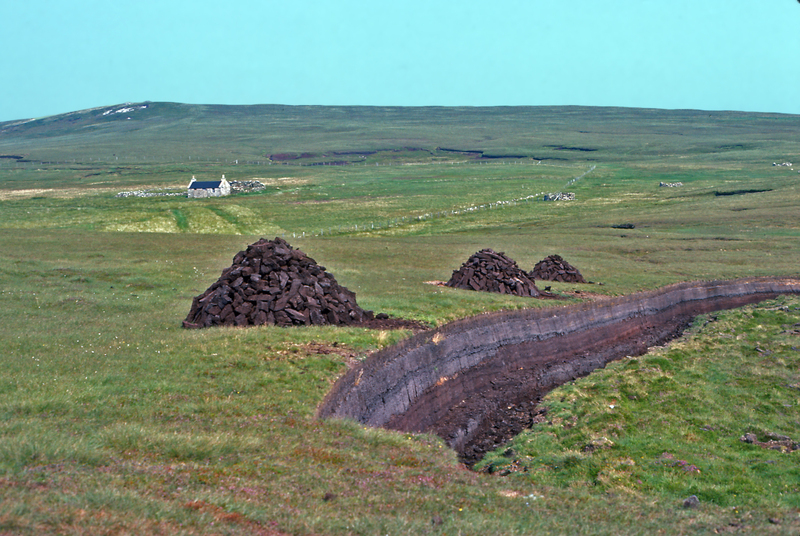 In the inter-war years of the last century, however, Prof. A.G. Tansley used the term just three times in his magnum opus “The British Islands and Their Vegetation” (1939), considering it only within the linguistic complexities of describing peatland habitats using common parlance. In contrast, Prof. W.H. Pearsall’s ‘Mountains and Moorlands‘, published in 1950 as one of the earliest classic volumes of the New Naturalist Series, waved a large eponymous flag for the term ‘moorland’. Nonetheless, he was obliged to admit that: “There is no good definition of moors and moorlands“, identifying it pragmatically as open, wild uninhabited country. This absence of a ‘good definition’ continues to the present day. Despite the title, ‘The Moorlands of England and Wales‘ (2003) by Prof. I.G. Simmons in effect provides no more specific definition of ‘moorland’ than did Pearsall half a century earlier. The word also continues to appear in accounts of ‘moorland’ habitat from such disparate parts of the former British Empire as Uganda and New Zealand, whereas the term is almost unknown outside former Imperial territories. We thus find ourselves in Britain in particular with a concept of a ‘typical moorland landscape’ well understood at least in Pearsall’s and Simmons’s terms by the public at large, but one which lacks any sound, rigorous definition for scientific use – as Tansley so clearly illustrated by his decision not to use the term when describing the range of British and Irish habitats. Indeed hereby lies the nub of the issue, because Tansley was describing natural and semi-natural habitats, while the prime focus of Simmons is moorland and its history as land-management units. We thus find that D. McVean and D.A.Ratcliffe’s NCC Monograph “Plant Communities of the Scottish Highlands‘ (1962) refers to moorlands only in the context of muirburn, an approach also largely adopted by Averis et al. (2004) who use the term ‘uplands’ as the focus of their ‘An Illustrated Guide to British Upland Vegetation‘. This distinction between habitat types and management units matters because ‘moorlands’ typically consist of several quite different habitat types, yet management parcels often make no distinction between these types or even deliberately seek to embrace a variety of types. In particular, given the increasingly high profile being afforded to peatlands within national and international community most notably because of their enormous carbon stores (more than all the world’s vegetation combined) and their role in water management, the distinction between peatlands and non-peatland habitats within the upland landscape is crucial because peatlands are wetlands. The only reason they are able to store so much carbon is that they are waterlogged to an extraordinary degree – typically peat soils in their natural state have a moisture content of more than 90% and often have a ratio of water to solid matter similar to that of a jellyfish. This contrasts markedly with the soils of other habitats typically rolled up within the all-embracing term ‘moorland’, yet for management purposes these very differing habitat types are often conflated under the term ‘moorland management’. Such conflation means that while a given management technique for upland grass heath, for example, may be appropriate, it may be completely inappropriate for an adjacent area of peat bog. An area of particular concern is the use of the term ‘moorland’ in scientific publications which describe research in upland habitats and which then either explicitly or implicitly highlight policy implications for such ‘moorland’ areas without also highlighting the distinction to be made between peatland habitats and non-peatland habitats within the upland expanse. Indeed use of the term ‘moorland’ when describing habitat management in the uplands merely continues to muddy the waters of land-use policy and serves to add an unhelpful level of ambiguity to any scientific results obtained from habitat research in these landscapes. For the moment, it is necessary to be aware that any literature which uses the term ‘moorland’ requires the most careful examination to tease out what is relevant to peatland management and what is relevant to other upland habitats. Averis, A., Averis, B., Birks, J., Horsfield, D. Thompson, D. and Yeo, M. (2004) An Illustrated Guide to British Upland Vegetation. Peterborough : Joint Nature Conservation Committee. Brown, A.F. and Shepherd, K.B. (1993) A method for censusing upland breeding waders. Bird Study, 40 : 189-195. McVean, D. and Ratcliffe, D.A. (1962) Plant Communities of the Scottish Highlands. Monographs of the Nature Conservancy No.1. London : HMSO. Pearsall, W.H. (1950) Mountains and Moorlands. London : Collins. Simmons, I.G. (2003) The Moorlands of England and Wales. Edinburgh : University press. Tansley, A.G. (1939) The British Islands and Their Vegetation. Cambridge : Cambridge University Press. Author Richard LindsayPosted on September 27, 2015 September 27, 2015 Categories Peatland terms and definitionsLeave a comment on Should we use the term ‘moorland’?